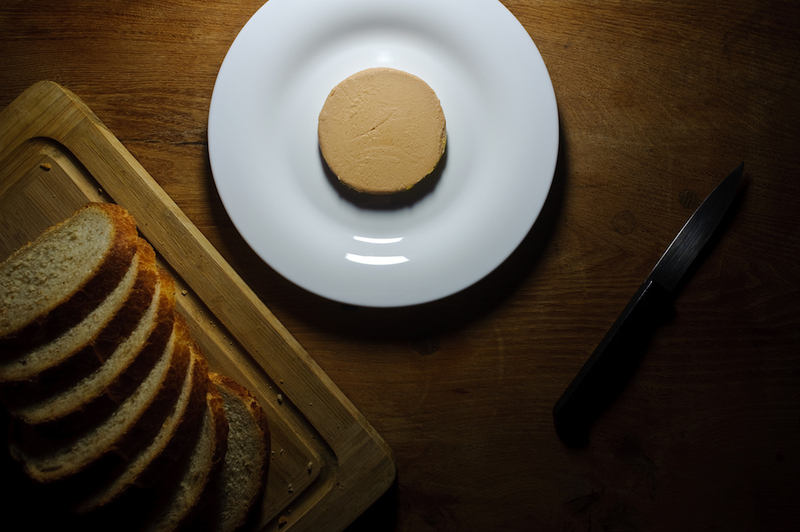 Chef Lefebvre demonstrates the long (but doable) process of making foie gras. On today's Ludo à la Maison, chef Ludo Lefebvre shows you how to make one of the signature delicacies of French cuisine: —though he's quick to point out that the highly technical dish is for special occasions, not an everyday homemade staple. The first step, he demonstrates, is to clean the foie gras (which technically translates to "fat liver"), by gently spreading it around with a knife. Lefebvre shows you how to find the veins, follow them with a small spoon, and remove them, until they're all gone from the dish that, he says, working in a French kitchen gave him plenty of practice making. He then flattens the lobes of duck liver on a baking sheet, and seasons with salt, pepper, lemon zest, and cognac (which is optional), then flips, and season other side identically. Now, it's ready for the terrine dish, a rectangular vessel that Lefebvre recommends you get from Le Creuset (since it will last the rest of your life). Lefebvre layers the foie gras in the dish, wraps it all in tinfoil, puts it in a metal tub of water, and places it all in the oven. As it bakes, he makes a date butter by blanching dates in water, peeled and reseeding them, and mi and mashing them with salted butter into a puree. 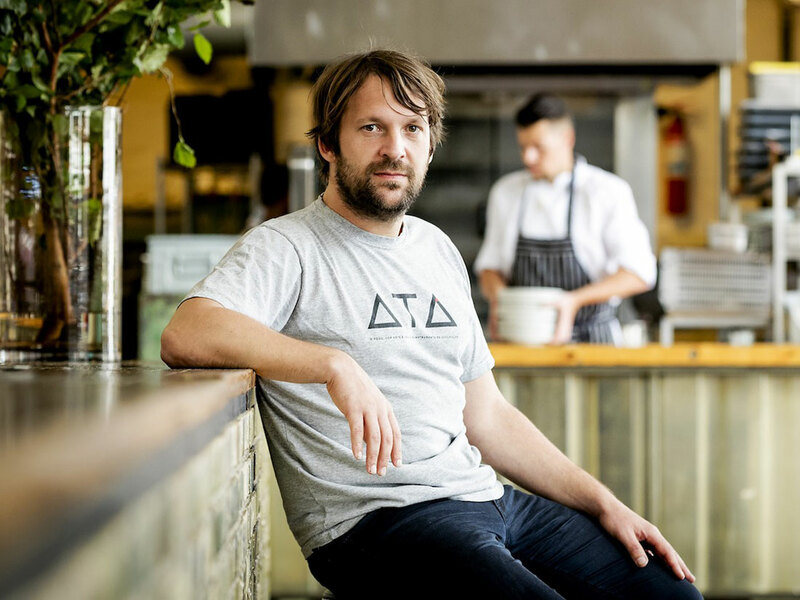 He takes foie gras out of the oven, then replaces the now hot water with cold water. In order to squeeze the fat out, he wraps a rectangular piece of cardboard in tinfoil, puts it on top of the foie gras, tops that with two one pound sticks of butter also wrapped in foil, and puts it all in the fridge for at least two hours, or preferably, overnight. Once it's ready, he removes the solidified fat, melts it in a pot, and strains it back onto the foie gras, which protects from oxidation. He puts it back in the fridge and leaves overnight again, until its set and solid. When it is, he slices off a piece, puts it on a plate with a smidge of the date butter and a bit of salt and pepper. To eat, he spreads it on bread, and sprinkles with the seasoning before biting in. It may be a technical dish, but Lefebvre says, if you follow his instructions, you can make a "beautiful, amazing holiday foie gras terrine" of your own.